Romantic and contemporary. 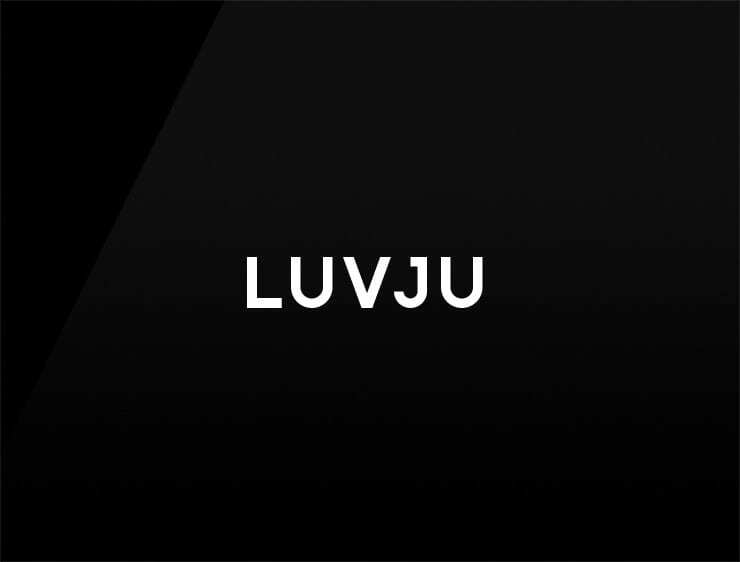 This playful business name ‘Luvju’ echoes the sounding of ‘love you’. It can also recall to ‘ju’, meaning “tree” or “spell” in Japanese and ‘uvular’, referring to the ‘uvular sound’, articulated with the back of the tongue and the uvula. Possible fits: Fashion. Perfume. A reviews site. App. Communications company. Skincare line.